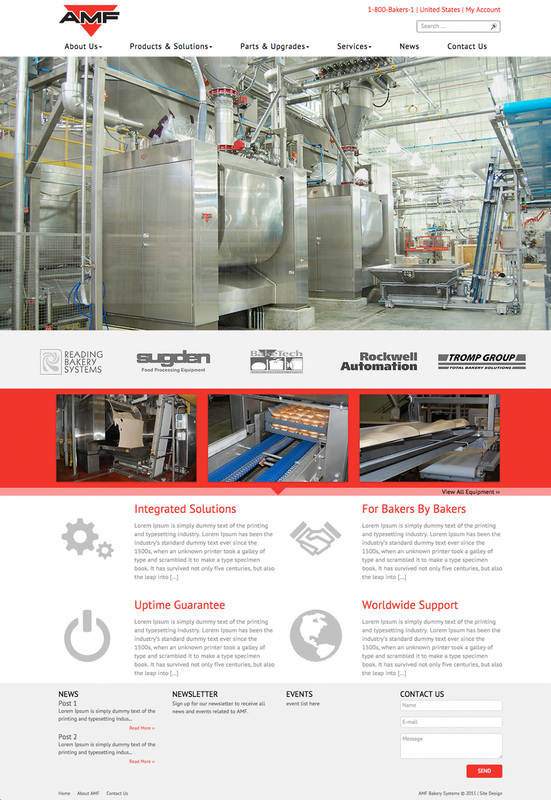 Designing a new public profile for the international heartbeat of bakery solutions. 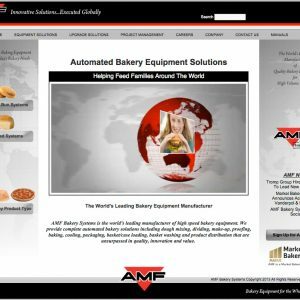 Baking around the globe: AMF Bakery Solutions is the world leader in high quality, high speed automated baking equipment. Marketing with a Mission means that we strive to promote ventures that change lives. 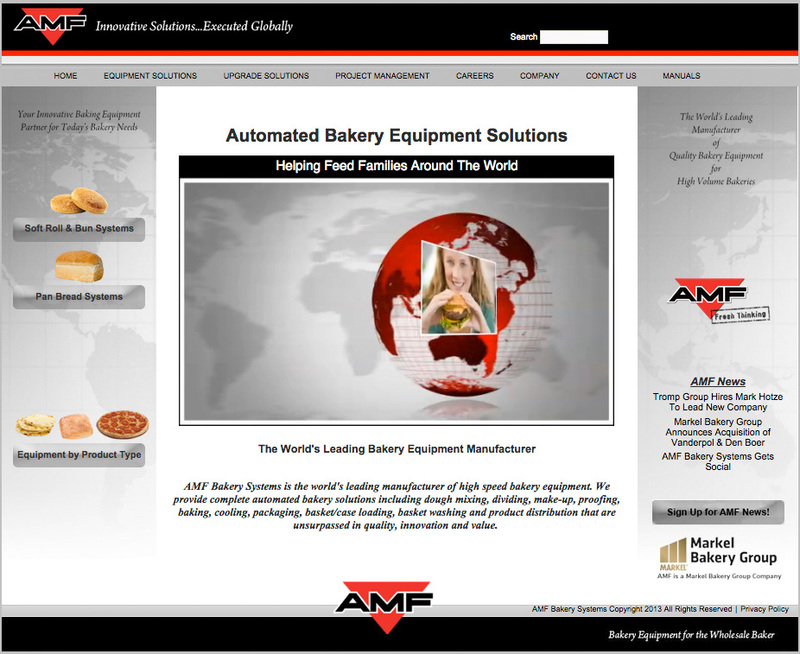 AMF came to The Idea Center for help creating a Mission Statement and a corporate profile that would shine more light on their quest to end hunger and help food service industries around the world bake faster, bake more, and bake better. The Idea Center encouraged AMF to adopt a Mission Statement that has led them to form successful partnerships with Virginia’s Feed More, a nonprofit organization that provides over fifty-thousand meals every day, and with internationally recognized Stop Hunger Now. In conjunction with this happy alliance, eighty AMF employees recently packed up ten-thousand meals to be sent to countries in need. The Idea Center has built a vivid new website for AMF which puts a beautiful public foot forward. Additionally, TIC built a project on location, filming AMF in their industrial facilities around the country. Using footage from the production floor, AMF’s community endeavors, and carefully written and edited interview sequences, The Idea Center has created videos that illuminate the many facets of one of the backbones of the global food industry. 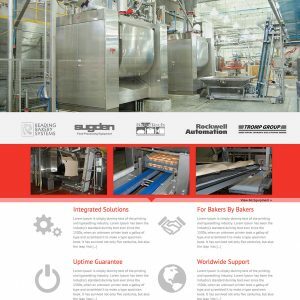 Next we got the ball rolling with a full-on website redesign, improving functionality and incorporating modern web design standards adding much needed aesthetic value. The new website features a mobile friendly responsive design ensuring optimal screen displays on all devices. Images of the new and old website are featured below for reference.